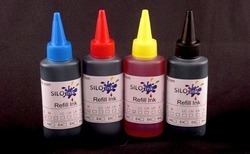 Sunrise Soya ink grade helps easens grinding remixing, intendifies colour. Its very useful informulation for removing offset and prining ink, toner for photocopying, in phyto sensitive agents for making positive & negative photographic images in for mubtion for correcting typwriter errors. Good dispersing aids in oil soluble photographic additive sheets for transfering colours. 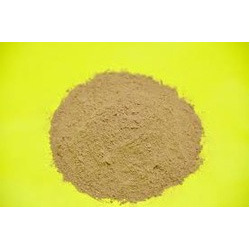 Soya lecithin are used in animal diets not only for their nutritional contribution of phospholipids and essential fatty acid, bit also for many functional purposes. As a processing aid to maximize extrusion efficiency, as an emulsifier in milk replacer products, as fat water emulsifier in canned pet food or simplify as dust suppressor in mash feeds and feeds and premixes, lecithin is an unique multiply purpose ingredients. It is the foundation of msot animal feed, supplying necessary amino acids for maximum production efficiency, energy sources are critical animal diets. 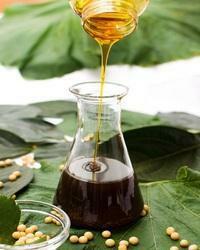 Vegetable oils have been to he an ideal energy source in animal nutrition. 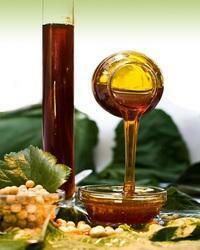 They can be excellent source of essential Omega6 (linoleic Acid) Omega3 and fatty acid. 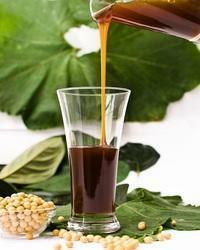 Various soya lecithin can be utilized in different manners. The lecithin can be used as a nutrient source (essential fatty acids, choline, phospholipids), as an emulsifier to improve digestion of nutrients, as a production air (water in fat mixing, fat in water mixing, dispersion, wetting, dust reduction, lubricity) and many other applicaitons. Our clients can avail from us a quality approved Soya Poultry Emulsifier. We processed using sophisticated technology keeping in mind diverse needs of our clients. Owing to their rich in protein, our offered range is highly used for cattle and dairy farm animals. The offered range is comprehensively used in various food items. Moreover, our offered range can be availed by our clients at market leading prices. We are the manufacturer and trader of Poultry Emulsifier, we cater to the requirements of poultry farms across the globe. We make use of ingredients like cereal, grains, pulses, etc. The offered product is widely demanded and appreciated by the large number of patrons and users due to its its optimality and reasonable price. Our products are highly appreciated by client. 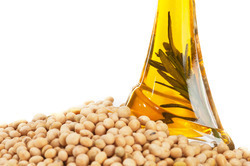 With our years of experience and knowledge, we are engaged in offering a Pharma Grade Soya Lecithin. The offered lecithin is processed at our well established labs using premium quality ingredients and innovative methodology. Our offered lecithin is used as a wetting, stabilizing agent and a chlorine enrichment carrier, emulsifications, encapsulation, dispersing agent and fat infusions. Apart from this, our offered range is highly appreciated by our valued clients for their exclusive features. 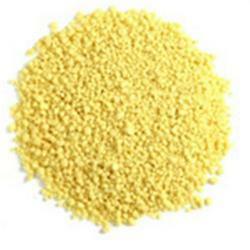 We are the manufacturer and supplier of wide range of Soya Lecithin for Paint Industry. It is also used as a release agent for ready remove of both wooden and metal concrete casting forms. These are manufactured by high quality material. Enriched with a keen understanding of demands of our valuable customers, we are engaged in offering Soya Lecithin Aqua Grade. Our offered aqua grade is widely used as animal diets and is widely appreciated for being a rich source of essential fatty acids. This highly nutritious feed is prepared using ultra modern technique and machinery installed at our premises. We offer the best quality Soya Lecithin Aqua Grade to our reputed patrons in safe packing and at industry leading price. Established in the year 1995, we, “Parul Trading Co. Indore”, are recognized as a distinguished manufacturer, trader, supplier, importer and exporter of a comprehensive range of Soya Lecithin, Poultry Feed Oils, Crude Oils, Fat Oils, Poultry Feed Supplement & Cattle Feed Supplements. Our understandings of the soya consumer market, a desire to work with integrity and honesty have invited The Almighty's choicest blessings on our business over these years. We manufacture our products using the best quality raw material under the guidance of trained professionals in compliance with international quality standards. A team of quality controllers is deployed for stringent quality checks on each and every product. To meet the diverse needs of the clients we offer our products in different packaging options. Customization of goods is also available as per the clients’ need to provide them maximum satisfaction. Our entire range is known for its specific features such as high nutritional value, pure, and free from artificial color. We have established a huge client base across the nation due to the transparency in our business dealings and quality control measures. Our exporting countries are Middle East, USA and our importing countries are Brazil.